Corsica became the temporary and final home for this event in 2010 in what was widely regarded as a series of test events for the first ever visit of the Tour de France in 2013. The 85th and final ever edition was held in Corsica on the 26 and 27 March 2016. 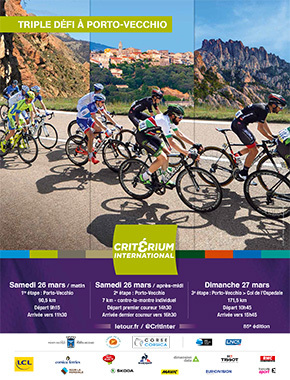 The Critérium International was originally a three day road race designed as a mini Tour de France - a sprint stage, a time trial and a mountain stage - an all round test. The modern format remained similar in terms of the test but was squeezed into two days with the first of those being a 'split stage' - a 90km road race in the morning followed by a 7km individual time trial in the afternoon. Day two was a 172km stage culminating on the climb to Ospedale. The big difference in 2016 was the third stage took a different route to Ospedale with considerably more climbing via the iconic Col de Bavella. This is a truly magnificent Corsican climb. 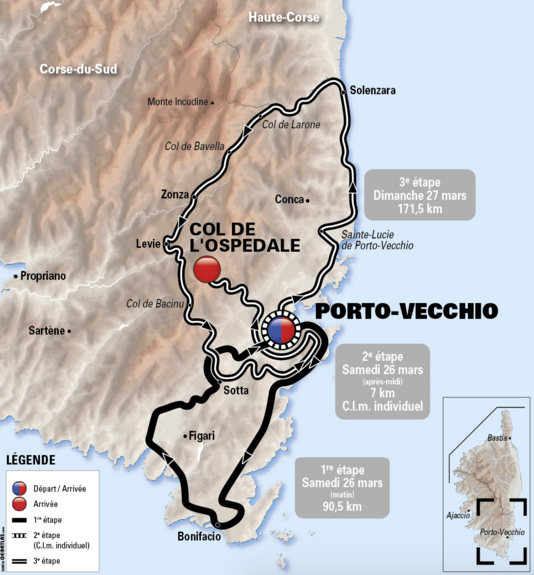 Porto-Vecchio in the south of Corsica remained the race start for the six editions in Corsica. 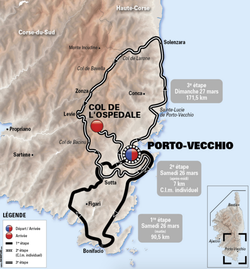 Historically the race has attracted the big names and recent winners in Corsica included: in 2012 the Australian, Cadel Evans who won the Tour de France in 2011; Chris Froome won in 2013 and went on to win the Tour that year; in 2014 the victor was Jean-Christophe Péraud and again in 2015. The final ever edition was won by Frenchman Thibaut Pinot of the FDJ team. The ride out from Porto-Vecchio to the Col de l'Ospedale at 965m and back through Levie is not only a great way to experience part of the Critérium route but also a great tour of the Alta Rocca region.